It is important for children to maintain their dental health by visiting the dentist regularly as the health a child’s baby teeth can affect the permanent teeth as well. While ensuring proper dental health at home is essential, it is also up to the parent to make sure the child makes it to all scheduled office visits as well. You can guarantee your child’s health by understanding the importance of dental care for children. You should know how often your child should visit the dentist and how to help you protect their dental health at home. The following is an overview of some of the vital ways to keep your child healthy. Some parents neglect to provide the proper dental health care to their child. This can be from forgetting to schedule regular office visits to not encouraging positive behaviors like brushing before bed. Some people falsely believe that the health of a child’s baby teeth is not important since the teeth will fall out after a few years. However, the dental health of a child may dictate the health of their permanent teeth. Baby teeth with enamel erosion can cause problems with permanent teeth. This can affect how your child’s adult teeth grow in and can lead to the need for braces. Additionally, cavities and other dental health concerns can be painful and cause sensitivity in children. Every child deserves a healthy set of teeth. They can achieve dental health by appropriate at home care and regular office visits. In many cases when a child suffers from poor dental health from infrequent visits to the dentist, it is because the parent does not know how often to schedule appointments. The exact period between dental visits varies for each child, and dentists differ on how often frequent is enough. However, many dentists suggest that children should visit the dentist every six months for a routine office visit. From there, they can schedule additional appointments anytime a dental health concern presents itself. Children should make their first visit to the dentist when their teeth come through. This is usually when they are a little over 1 year old. Frequent visits may not be needed until they grow older and become more at risk of cavities and other dental health concerns. 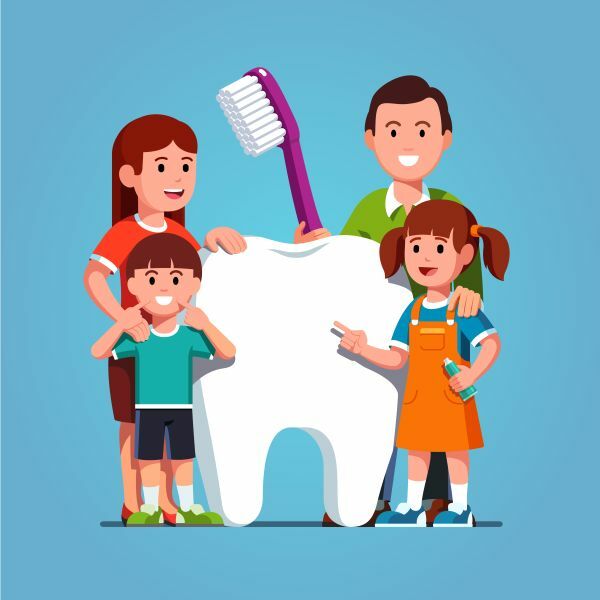 The best way to protect your child’s dental health both in the short term and long term is to teach them proper oral hygiene and how to brush correctly. Teach your children about cavities and explain how certain foods can damage their teeth. Make sure they brush after meals and before bed. Visiting the dentist on a regular basis is also important, especially since children are more vulnerable to developing cavities. For children who are at an even higher risk of cavities, dental sealants and other preventive care may help prevent dental health concerns from developing. Do you need children’s dental care? If you need a new dentist for your child, then call our office. We can work together to keep your child smiling into adulthood. Request an appointment here: https://activedentalonline.com or call Active Dental at (972) 534-6024 for an appointment in our Irving office.